EVENTS - Bluewater Scuba - "Where Nashville Learns To Dive"
_Interested in becoming a dive professional? Join us for our Go Pro Night where representatives from PADI and Bluewater Scuba share what it's like to take the plunge and become a Divemaster or Instructor. You love diving. Why not get paid to do what you love?? Find out what it takes to Go Pro and get started on your new career! April 28, 2012 - 5-7pm - Give back to your community. Enrich the life of a child. And utilize your snorkeling skills! All at the same time. 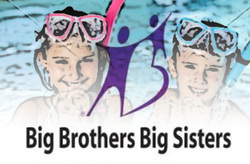 Join the Bluewater Scuba Staff as we partner with the Nashville Big Brothers Big Sisters organization and provide children and their "Bigs" with a fun time in the pool learning to snorkel. We are looking for Tutors to work with the children in the water. Sign up today and have a blast with us. Volunteers for pool, topside, and general all-around assistance are welcome and appreciated. Also, if you'd like to volunteer to provide refreshments and snacks, sign up and make a note in the comment section at checkout. People around the globe are uniting on April 22, 2012 for Earth Day. 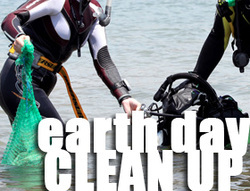 We are uniting with Emerald Coast Scuba in Destin, Florida for our Earth Day Event. We'll be cleaning up the beaches and divers can even scuba dive to clean up the ocean. Every person counts. All the help makes a difference. The oceans are our playground as divers. Let's get together and clean it up a bit. Ticket includes a t-shirt, clean up materials, lunch, and a donation on your behalf to Project AWARE. Those who wish to dive, there is an additional fee of $25. Discount equipment and tank rentals available. Click here to sign up! Join IDC Staff Instructor Greg Gilkey at Pelham Quarry near Birmingham, Alabama on March 31 and April 1 for DUI Dog Days. It's the perfect chance to try it out if you've never dived dry, and if you know you'll like it, you can even do your 2 certification dives for the specialty. It will be a fun weekend! Lunch, tanks, weights, entry to the quarry and a DUI ball cap are included. Purchase your tickets here. _Go places! (Like Jonathan's in Franklin). Do things! (Like eat hot wings and drink beverages of your choice) Meet people! (Like fellow divers and Bluewater Scuba Staff). It's free and it's a fun way to meet people with similar interests. Join us at Jonathan's (7135 South Springs Drive, Franklin, TN 37067) on the first Tuesday of each month (7pm). 2 for 1 beer and pizza! !